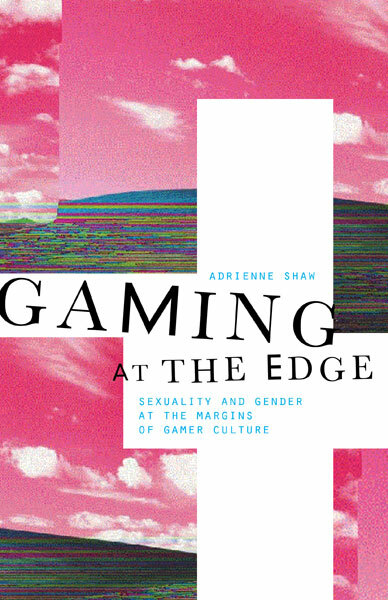 My book Gaming at the Edge: Sexuality and Gender at the Margins of Gamer Culture represents an intersection of three major fields in media studies: the politics of representation of marginalized groups; ethnographic and qualitative media audience research; and cultural studies approaches to video games. It provides an in-depth look at not just how groups are represented in games, as some previous authors have done, but how audiences interact with these representations in ways that are unique to this particular medium. Although other authors have addressed similar issues in relation to online gaming, T.L. Taylor’s Play Between Worlds being the seminal example, this book looks at people who play games (alone or with others) rather than people who play a particular game or on a particular platform. It addresses digital games as part of broader media consumption practices and identity work, looking at the ways games and concerns about representation in them are embedded within the everyday lives of players. After several years of researching the representation of marginalized groups in digital games two things have continued to vex me. First, often players from marginal groups I have interviewed have told me that the identity of their avatar is not important to them. They are “just games” they say, or alternatively someday “we” will be seen as a market and the representation will improve. Second, and related, is that demands for representation of specific groups are always rather limiting in how those identities are articulated (rarely encompassing the complexity and intersectionality of identity). To help make sense of these phenomena, in this book I separate out the often-conflated relationship between identity, identification, and media representation. I engage with audiences’ reflections on their identities, how they interact with game characters and texts, and their thoughts about media representation via in-depth interviews and ethnographic observations. By unpacking how representation comes to matter to audiences, this book offers a new understanding of the stakes in politics of representation debates in the contemporary mediascape. It offers a framework for talking about representation, difference, and diversity in an era in which user-generated content, individualized media consumption, and blurring of producer/consumer roles has lessened the utility of traditional models of media representation analysis. In a primarily broadcast, national model of communication, analyzing whom a text is by, of, and for can illuminate social hierarchies in modes of production and the articulation of cultural values. A new model is needed, however, to address emerging media technologies and the corollary shifts in how audience reception practices as well as how audiences are conceptualized by a variety of media industries. In concluding, the book demonstrates that contemporary studies of the politics of representation, particularly in relation to emergent media, must begin with audience studies, and that micro-level reception practices can inform macro-level politics. You can read two excerpts here and here, or my blog post for the press here. If you like how well the book is written and indexed, you should consider hiring the developmental editor and indexer I worked with: Cathy Hannabach. Gaming at the Edge made it on to the ALA’s 2016 Over the Rainbow Books list! If you use Goodreads, and have read the book, please review it there as well!